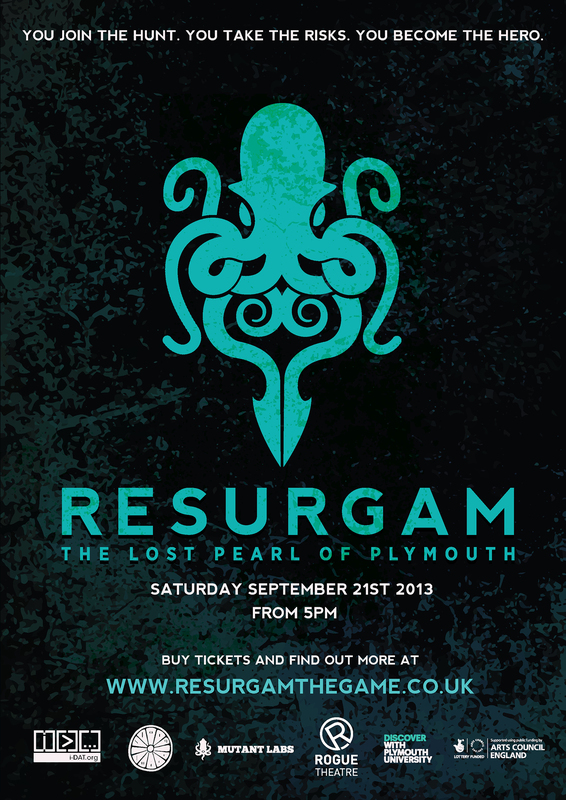 Resurgam: The Lost Pearl of Plymouth. A new type of adventure. You join the hunt. You take the risks. You become the hero. 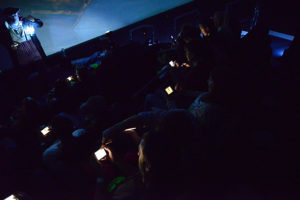 Plymouth underwent a digital transformation in September, as hundreds of adventurers took part in the city’s first location-based live game. 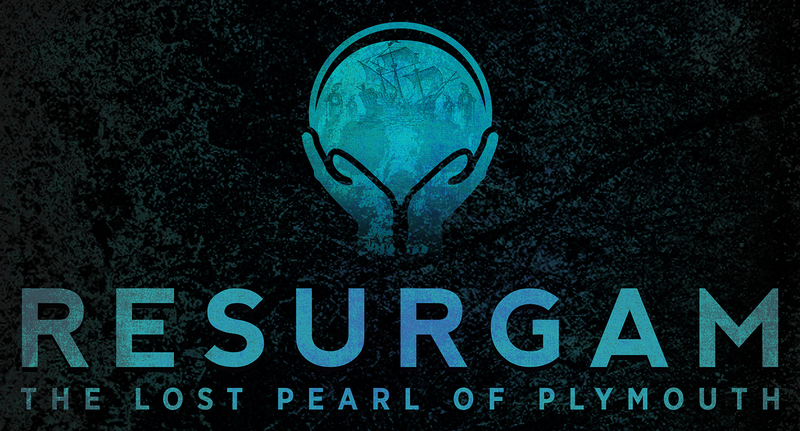 Resurgam: The Lost Pearl of Plymouth saw gamers using mobile technology to navigate their way around the City’s maritime heritage. 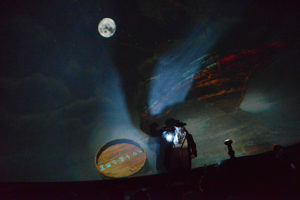 In addition to exploring the incredible history of Plymouth, participants experienced reality merging with storytelling as live immersive theatre brings the game to life in all sorts of unexpected ways. 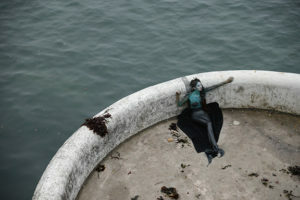 Resurgam- Pearl of Plymouth (Teaser) from mutant labs. 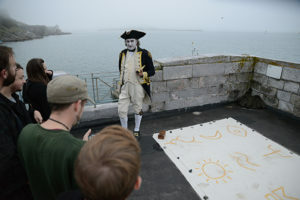 A new way to play: History, digital technology and theatre are integrated to create an original game experience that immerses players in a citywide hunt to find the magical Pearl of Plymouth. 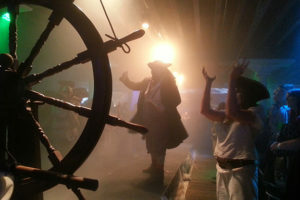 Travel back in time: Sea-soaked characters and stories from Plymouth’s nautical past will help you unravel the mystery of the lost Pearl, if you can find them. Explore hidden corners of the city: The adventure starts at sundown when you will find yourself in a city swarming with sea demons and on the cusp of being lost under water. Those who can help you are already dead.Your task: To search the city and raise ghosts from the Order of the Pearl who can guide you to The Pearl’s hiding place. When you find it, you must return it to its place inside an ancient armillary sphere and restore the balance between land and sea. 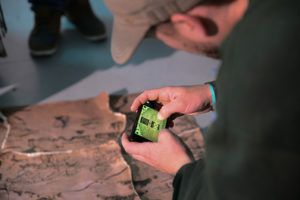 Immersive action: You will face three hours of adrenaline pumping action as you use your mobile phone and interactions with game characters to navigate to various locations around the city uncovering secrets, making choices and running for your life to escape capture by sea demons roaming the streets and standing between you and your goal to find the Pearl of Plymouth. Player interaction: The interactions you have and choices you make will determine whether or not you can solve the mystery of The Pearl, save the city from sea demons and board the Resurgam ghost ship for a final performance and live music. Are you up to the challenge? : Fortune favours the bold. All you need is the Resurgam mobile application for Android or iOS and a spirit of discovery.Fair winds and following seas, friends. See you on the ghost ship.